Ori and the Will of the Wisps's E3 demo carries on the spirit of its beautiful predecessor. Ori and the Blind Forest is one of my favorite games of this generation. It's not so much that Ori fundamentally changed anything about the so-called "Metroidvania" genre. It didn't. But it's one of those games that executed so perfectly on a vision, that played great and looked phenomenal and had just enough story to tie it all together. It's brilliant, and easily cracked our list of the 10 best PC games of 2015. 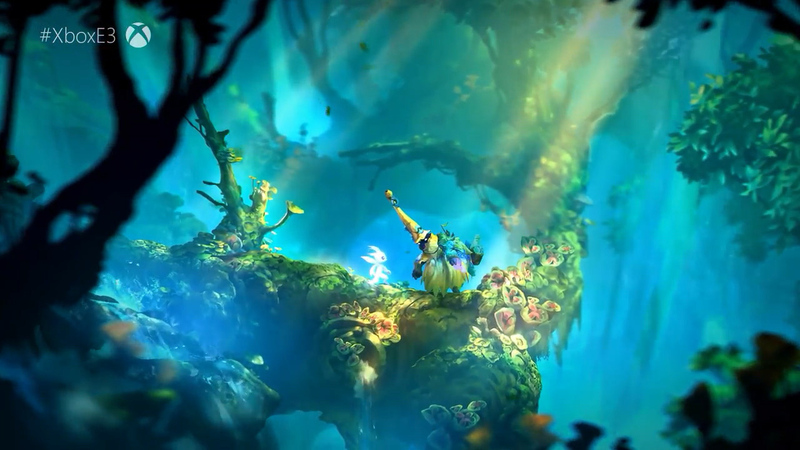 Now that I've gotten some hands-on time with the sequel, Ori and the Will of the Wisps, all I can think is: Damn, somehow it's even more gorgeous. What developer Moon Studios does so well is suggest a vast and unknowable world with the broadest of brush strokes. Ori and the Blind Forest didn't go into great detail about its lore, didn't have pages and pages of dialogue to read, but you could visit the Moon Grotto or the Forlorn Ruins and feel somehow connected to it. Ori and the Will of the Wisps is the same. The demo I played—video embedded above—took around 20 minutes and was confined to a single zone, the Windswept Wastes. It's a bleak area, full of crumbling sand pillars and spikes and the titular winds that shriek like they might shear your skin off. And yet even this desolate stretch is packed with moments of beauty, where for instance you jump over a bend and the light catches the landscape just right, detailed backdrops stretching off into the distance and suggesting a scope you never expected from a 2D platformer. 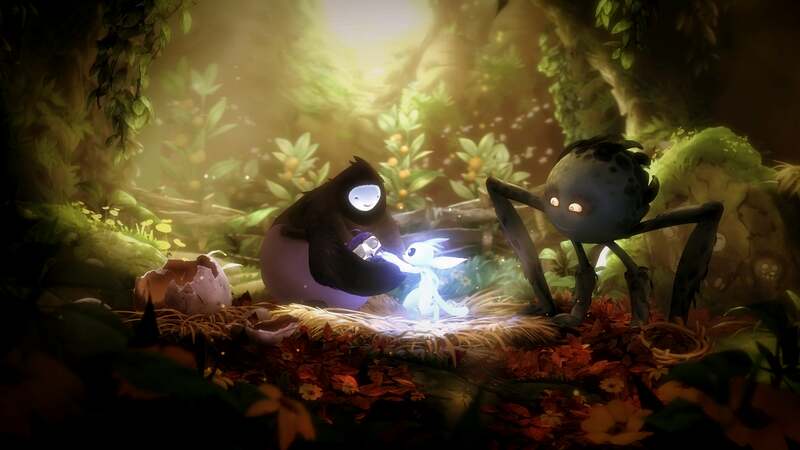 The effect is helped by Ori, the uh…spirit animal from the first game. Ori is back and perhaps even better animated than before, with even simple jumps containing a complicated series of mid-air flips and rolls to add more life into the character. Ori is more competent than before, too. Combat was the driest part of the original, mostly consisting of "Mash X and dodge sometimes." In my demo Ori had three different skill slots though. The first, X, was the usual slashing melee attack. Y allowed Ori to heal himself, at the cost of some energy, and B fired an arrow off at distant enemies. Ori also has a lot of movement options. I'm not sure what part of the game the demo came from, whether we were two hours in or maybe further. Hard to tell. We already had a double jump though, as well as an air-dash move. It'd be nice if Ori and the Will of the Wisps allowed us to start with those, given we had them in the last game. There's also a grappling hook maneuver, which lets you navigate sections without touching the walls or reach higher heights. And partway through the demo, I unlocked a tool that was mandatory for the Windswept Wastes—the ability to burrow through sand dunes. That latter was especially fun, as Ori can dash out of the sand dunes at the end too, propelling upwards to reach ledges that were just out of reach or shooting across gaps and then hopping to safety. Basically: Ori and the Will of the Wisps feels tight, the same as its predecessor. Moving around is a lot of fun in and of itself, which is one of my biggest asks for a game of this ilk. If you're going to spend hours and hours exploring for secrets, getting there better be interesting. Yes, there are a lot of secrets in Ori and the Will of the Wisps. I like to believe I found quite a few of them in my hands-on time, but even so the meter said I had about a third of the collectibles still to go when the demo ended. I finished Ori and the Blind Forest at 100 percent completion, and I'm looking forward to doing the same here I think. 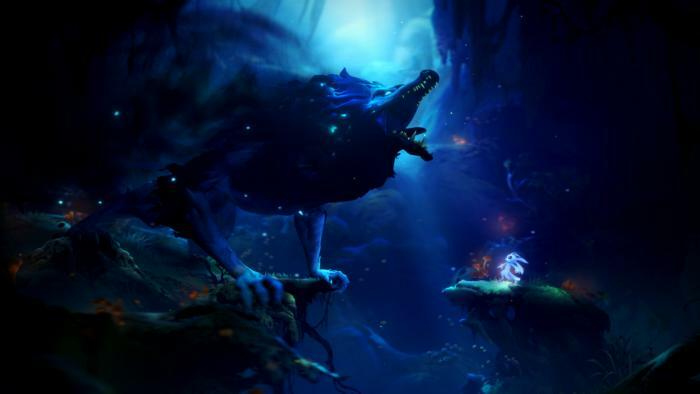 If you're expecting a radical departure from Ori and the Blind Forest—maybe you didn't like it—then you'll be disappointed. I wasn't though, and I'm not. 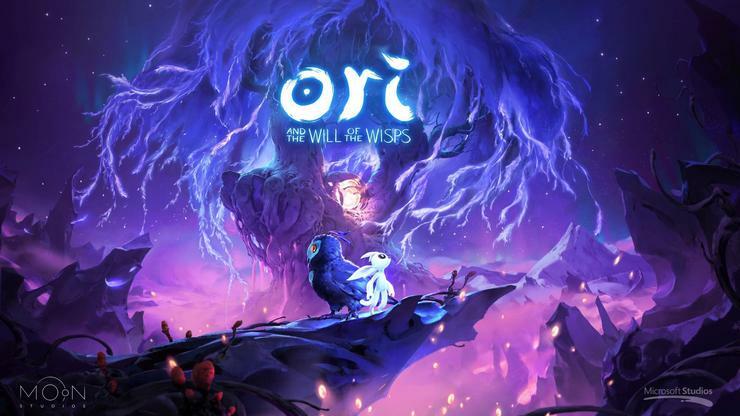 Ori and the Will of the Wisps seems like more of the same game, but with a more ambitious world to explore, new movement options, better combat, and a whole lot of eye candy to ogle. That's all I wanted, and provided Ori and the Will of the Wisps can deliver the same joy in the rest of the game as it did in the Windswept Wastes when it launches in 2019, I'm sold. I should also note: There was some stuttering during my demo (and you'll see it in our video). I expect those problems will get ironed out, but it's worth mentioning the game was running on an Xbox One X anyway. Hopefully the PC version will run at a solid 60 frames per second regardless. Moon Studios has put a lot of work into animating this world and making it feel vibrant and alive. Seems criminal to play it without giving those aspects their due.